Munich is a beautiful German city that has to been seen. It offers a lot of attractions and is known for the Oktoberfest. If you are interresed in art, architecture or history, you will find beautiful places like the English Garden, different Museums, Churchs and much more. Read our article! In addition, you can learn about Super Mario – an amazing Instructor. He is a great dancer with his own style. In his classes he recognizes the needs of the students and adapt the level they need. 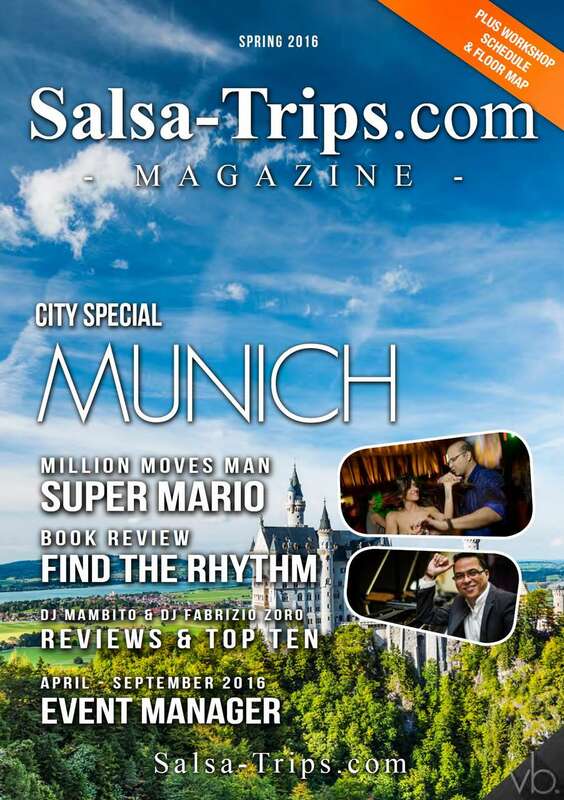 You will also find an article about the book called „Find the rhythm”. Salsa is not only about how to count, it is important to feel the music, to hear the different instruments, to have the rythm. Mambito’s report will tell you more! Please also notice the ads of some of our partners and we started to build a broad distribution of the magazine besides the festivals and major events. Interesting? Then you may become our partner for your city and neighborhood.